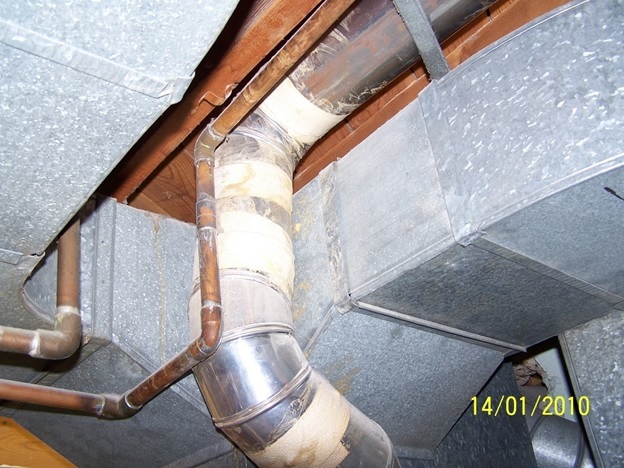 If it looks like the picture below then it is asbestos tape. If it looks like the picture below then it could be asbestos parging. We have three options; leave it alone and don’t touch it, seal it or remove it. 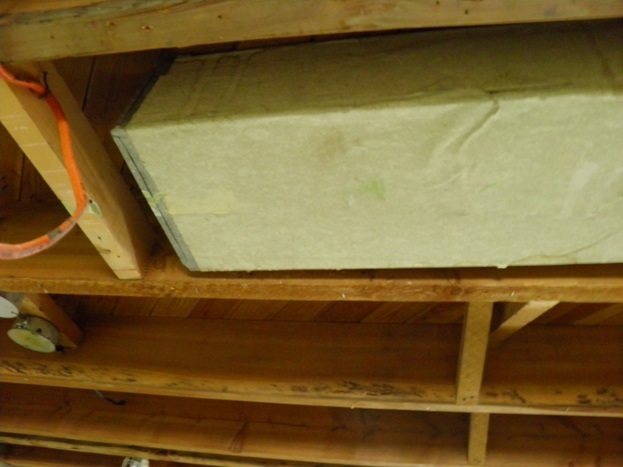 A visual inspection of the condition of the tapes, wrap or parging can verify if the asbestos containing material is in good condition and can be left alone. If the material is damaged, loose or fraying they should be dealt with. Sealing it in place is a viable and legal option and one that will have been a very common response to this issue over the last 30 years. We have seen people spray it with lacquer, hair spray and other household products (don’t do this) however the preferred method would be to use a paint/trowel on encaspulant. 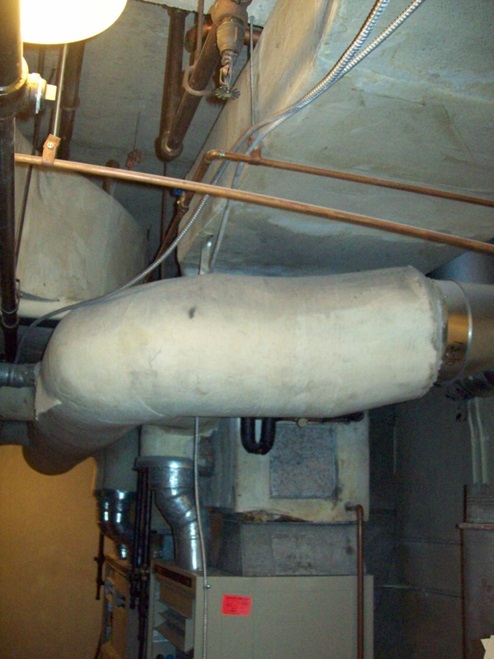 The problem with this method is if you are planning on replacing your furnace the company hired to do the work will require that you remove all asbestos containing material (sealed or not) before they will replace the furnace. The second option is to remove it and this is where people get themselves into trouble, sorry about the CAPS but a few points need to be clear. CALL A PROFESSIONAL. The number one thing to know about asbestos products is that when it is breaking down or disturbed, it can release microscopic fibres (can’t be seen with the naked eye) into the air. Specialized personal protective equipment, HEPA filtered air movers and HEPA filtered commercial vacuums (specially rated for asbestos removal) are recommended for asbestos removal. NEVER use a household vacuum to clean an area containing asbestos material, no matter how good the vacuum HEPA rating it is not good enough (there are actual commercial asbestos HEPA rated vacuums but I doubt any of you have one). Running a shop vacuum with asbestos tape inside blowing fibers around is a sure way to contaminate an entire home, DON’T DO IT, a full house abatement cleaning after an event like that will cost you a fortune. There should be a correct amount of respect given to asbestos containing materials and while it has risks they are manageable risks. If you have any further questions on this topic please email me.